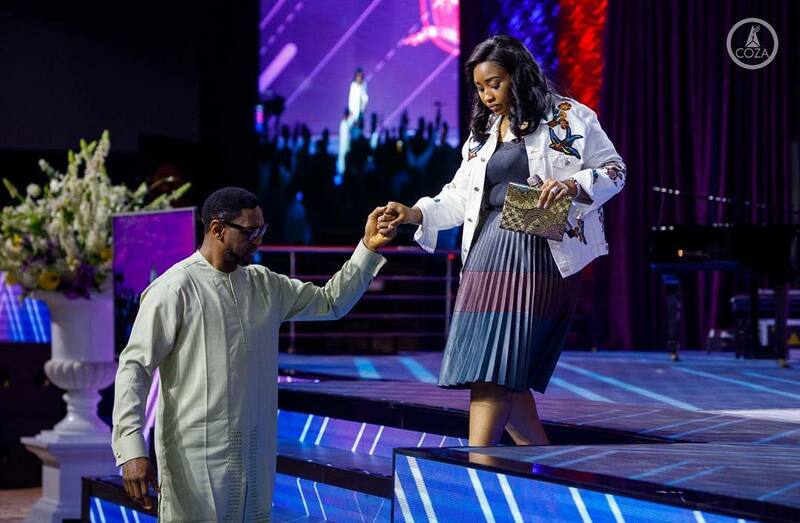 The fashionable pastor, Pastor Biodun Fatoyinbo who is the Senior Pastor of the Commonwealth of Zion Assembly (COZA) appreciates his wife as he posts a beautiful photo of him helping her down the stairs in his church. "It is always a joy to watch you relate with the kids; how you match up to Ephraim’s burst of excitement, you switch back to calmly discuss with Shindara, the names you have to learn to keep up with Ayomikun’s intelligence and your tenderness with Omotara is beyond comprehension. And then you take care of me❤😅 Thank you for loving the kids the way you do love. You’re amazing, my ray of Sunshine!"